"Good ideas start with brainstorming, great ideas start with a cup of coffee." This is totally true in my case and I am sure many coffee lovers out there would agree with me. My day starts with a cup of coffee and that's what prepares me for the hectic day ahead. When there is so much love for coffee, it is very important to get the perfect taste and have complete control over it. 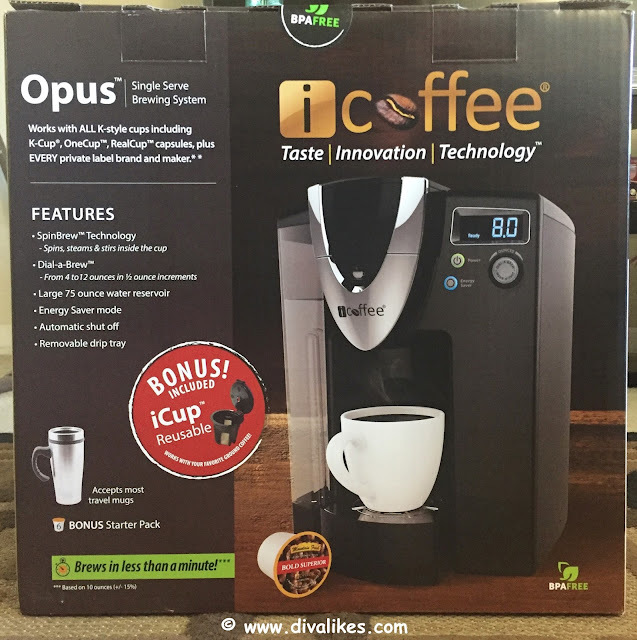 So here we present to you iCoffee Opus Single Server Brewer which aims to deliver impossibly smooth flavor and taste in every cup for coffee lovers everywhere. Let's take a look at the details. 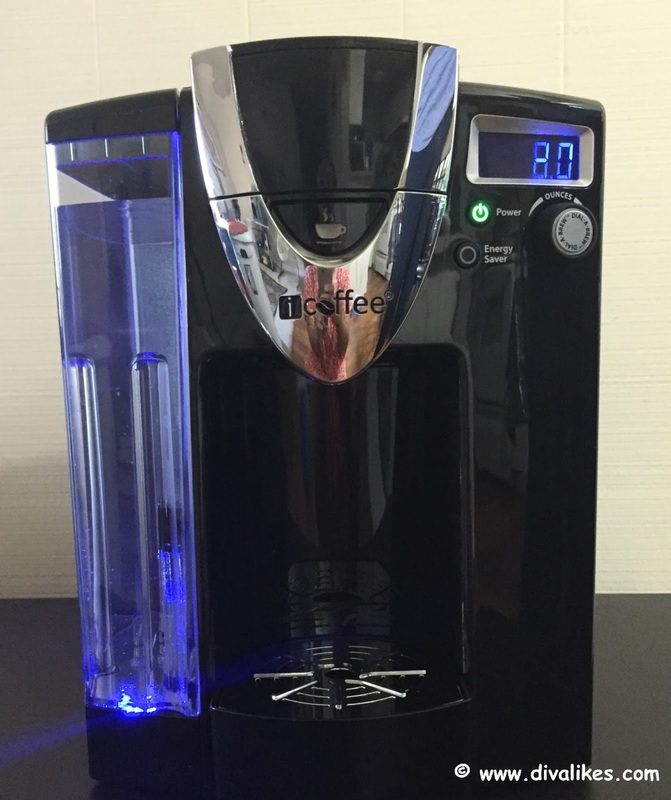 iCoffee offers both Single Serve Coffee Brewers as well as Multi-Cup Coffee Brewer. I was lucky to receive iCoffee Opus Single Server Brewer with SpinBrew technology and Dial-a-Brew control. 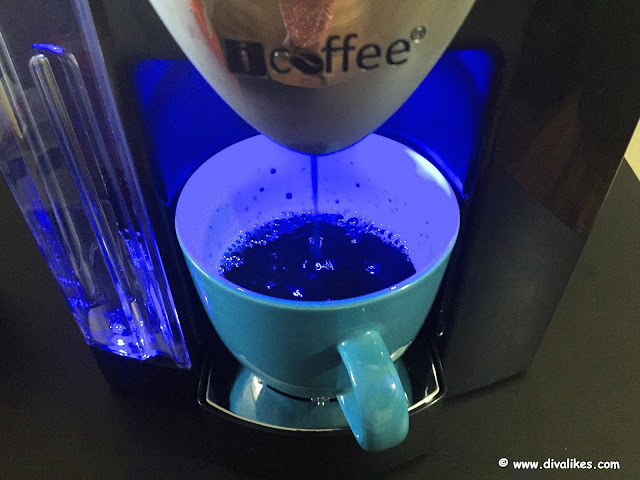 SpinBrew technology: SpinBrew jets spin, steam, and stir right inside the K-Cup, creating a mini French press-like effect that produces a noticeably smoother tasting coffee with a more pleasant aftertaste and aroma. Dial-a-Brew control: It lets you "dial in" the exact preferred strength between 4-12 ounces in .5 ounce increments. It's literally the perfect taste control! 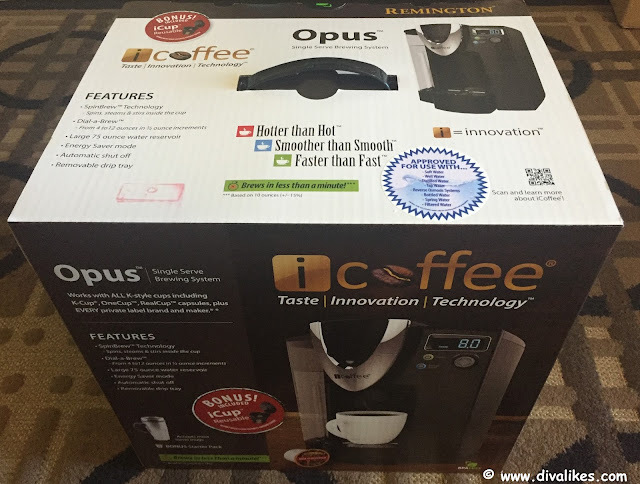 iCoffee Opus Single Server Brewer came in an intact packaging with zero issues of damage. 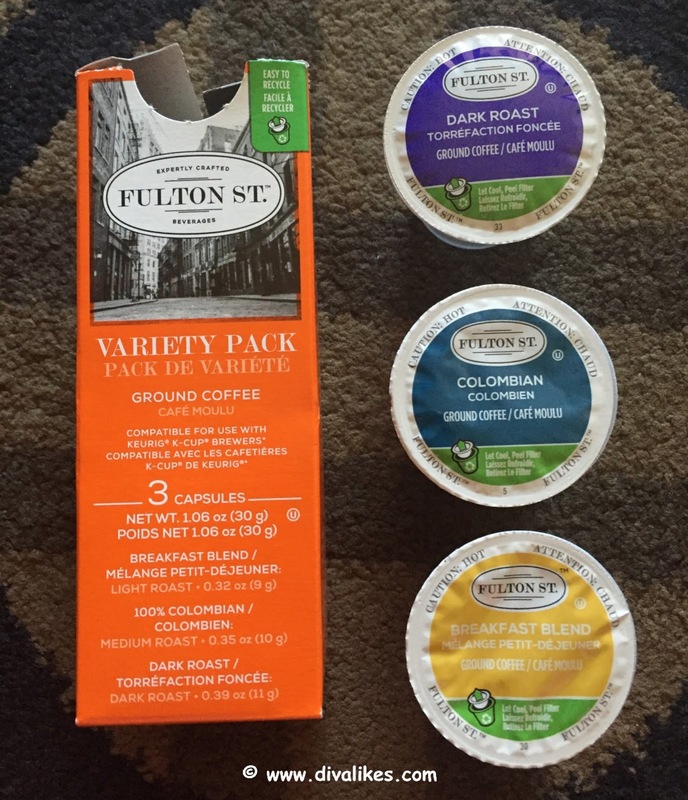 On unpacking, I was happy to receive the 6-count variety Fulton St. beverages along with the iCoffee Opus. It's always great to have the coffee cups ready. 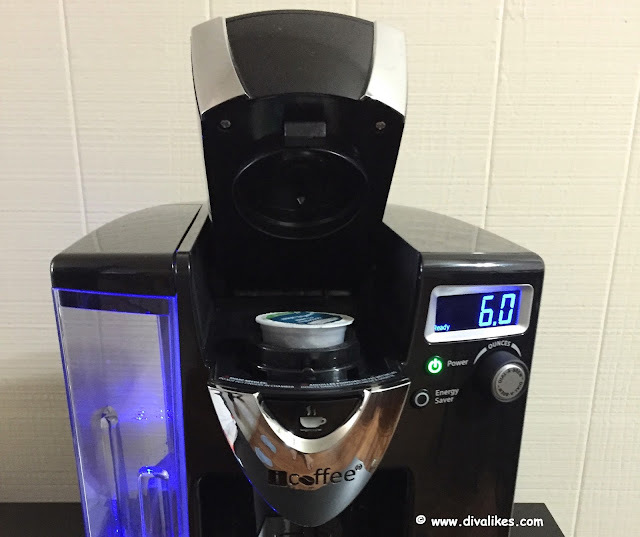 Not just that, the brewer also has reusable iCup which is an added advantage in case you want to try the ground coffee of your favorite brand. The brewer is stylish and classy to look at. It occupied less space on my kitchen counter which is something I always prefer. It has a plastic exterior which makes it easy to clean. It comes with an 75 oz. water reservoir which is removable as well. So, all in all, it is great looking and easy to maintain. Plug in the brewer. 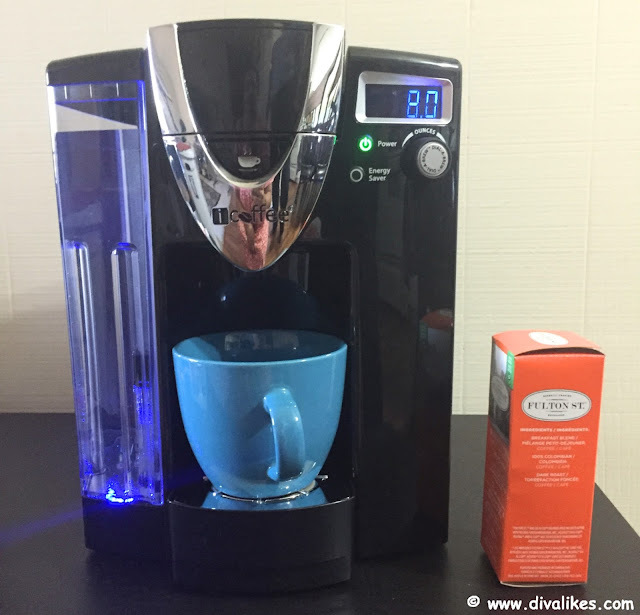 Place a large cup or mug on the drip tray directly below the jaw area. Make sure the water reservoir is filled with water and press the power button. Once the water is heated the LCD Screen will flash "Ready". Press the "Open" button and the upper jaw will raise automatically. Insert the cup and close the lid. Dail to choose brew ounces and press to brew. That's all! Get ready to enjoy your coffee. My favorite features of iCoffee Opus are the reusable iCup, one year manufacturer's warranty, availability of parts, auto shut-off control and energy saver mode. Of course, the rich flavored coffee it serves! It is as wonderful as it can get. Time to get your hands on this amazing product. Find it at your nearest Bed Bath & Beyond stores, Target, Amazon and any major retailers near you. For more details about the product, visit www.icoffee.com. Everything gets better with coffee! Go get it! nothing can work as magical as a nice cup of coffee..even thinking about it makes me drool.